Comment: Purchased new home with bland vegetation to retain soil on hill in backyard. The slope is steep, would like to decrease the slope and provide better appearance. Comment: I only want about 3 pallets of emerald zoysia sod delivered to my home. I will install. Comment: Need a refresh in front yard. One side yard is shaded and grass will not grow. Need some type of covering there...thinking crushed stone. Backyard needs a refresh. There is also a deck in backyard...thinking of removing this and going with pavers or crushed stone and possibly an outdoor fireplace. Area behind privacy fence is natural and rough. It also has some erosion. Looking for a cost effective (cheap) way to stabilize this area. Pelham Landscaping Companies are rated 4.64 out of 5 based on 643 reviews of 16 pros. 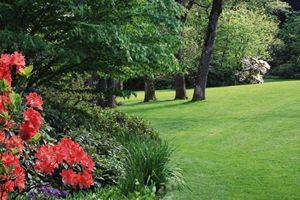 Not Looking for Landscaping Contractors in Pelham, AL?